Guess what? There is this really neat literary device I just learned about, and it's called "foreshadowing." It's this thing where, in the beginning of the story, you put in all these little "hints" about stuff that's going to happen later on. I can't wait to try it out! I think the best part about foreshadowing is that it doesn't come right out and tell everyone what's going to happen. Instead, it does this thing called "planting a seed" in the reader's mind, so that the ending will still be a surprise but also seem logical. At least that's what it said on WritersZone.com, which is a really good site with lots of fun tips on writing. You can foreshadow anything. One thing you can foreshadow is a high-powered attorney billing the hours, making the money, and rushing relentlessly up the corporate ladder of a giant D.C. law firm, and then in an instant, it all comes undone. I am definitely going to try foreshadowing that. Another thing I like is that you can put foreshadows in anywhere: in the dialogue, in the descriptions, even in the rising action. I suppose you could even plot out the whole story arc ahead of time, before you start writing, and put in the hints as you go along. Usually I just sit down and start typing, and then come up with a climax when I get to 450 pages. I wish I had learned about this foreshadowing technique earlier. Like, in the beginning of The Partner—this story I wrote about a junior attorney who pulls off the white-collar crime of the century—I could have put in some "clues" that the guy's lover is greedy or evil. That would have "foreshadowed" the end where she steals all his money. That would've been so cool! Foreshadowing also builds suspense. I used to think the only way you could build suspense was with rising action. Or maybe with the climax. But with foreshadowing, you can "build expectations" that make the reader want to keep reading to find out what's being foreshadowed. Now I think foreshadowing is the coolest way to hold the reader's attention. There is also something called a "red herring," which is another thing I just found out about, which is like foreshadowing except the thing you foreshadow doesn't happen. A red herring is like a trick. I don't think I want to use a red herring. Going back to foreshadowing, you can foreshadow in a bunch of different ways. You could have a character say something that foreshadows something else, or you could use events to foreshadow later events. I think my favorite way is using a single word with two different meanings to foreshadow. For example, I learned that if a notorious D.C. power broker who knows a secret that goes to the top of the U.S. government is going to die, it's better to have him say "I'd rather die than go to prison" than something like "I would never want to go to prison." Because the first way has the word "die" in it, and then he does die. Foreshadowing is so much better than rising action. I was talking to my friends James Patterson and Patricia Cornwell the other day, and they told me about this new thing called "symbolism," where you make one object "represent" another more "abstract" concept. Like, in my new story about a brash young attorney straight out of Harvard Law who's standing on the brink of a brilliant career and risks it all for a death-row convict and an impossible case, I could make the inmate's scar stand for something. It could stand for the judicial system, or for peace. In fact, depending on the way I "describe" it, I could make it stand for just about anything. This is all so exciting. I'm going to go write a new story right now! 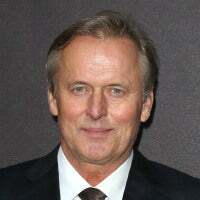 John Grisham is an award-winning American author whose books have sold more than 235 million copies worldwide.